When I first heard about the challenge in February, I thought I’d prepare some posts beforehand (like the other smart writers). The plan was to ease into the Challenge gently, the way a zephyr caresses your skin on a hot day. I got out of the starting gate with a lotta zest on that first day, hoping I’d still be able to stay ahead of the game. My muse had other ideas, so most evenings found me sitting before the monitor afraid that zero hour would hit, minus a subject to write around. I zigzagged my way through the month, finding ways to connect the words I selected for each day to the craft of writing. Now that I have this Challenge all zipped-up, I feel like a blog-writing-and-blog-stopover-zombie and I still haven’t covered all the participants. I’ve met some interesting people and learned a whole pile of stuff (more about that in the A to Z Challenge Reflections Mega Post on May 2). Alas, I don’t have the option to zonk out for a few days after the Challenge ends, much as I'd like to. See my four legged friend below? Boy, would I love to be in his position. Anyway, I have to continue promoting my blogiversary giveaway and my second book, Dissolution, which comes out in May. Be back with you later in the evening, but I’m off to a seminar today. Whatever you do, don’t forget to participate in my Anniversary Giveaway. It’s getting lonely over there. I just wanted to say I love your blog layout - gorgeous blue flowers! it's been quite tough, especially trying to visit as many people as possible. Hoping it's got me in good shape for the future though. I've loved your posts and you've done a great job today (I love the word zephyr). 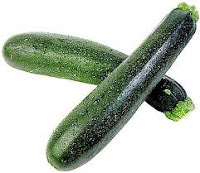 As someone else wrote about zucchini today, I discovered it's courgette in British English - and I didn't know! 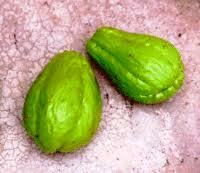 We have chu-chu here in Portugal and I adore them. Thanks for the good wishes, Melissa. It was nice meeting you too. Mood, I agree, the combination of writing and visiting was tough. Hi, Sue. Didn't know you were in Portugal. Thanks for your kind words. It's been great following your blog too. I know the word courgette, but didn't have a clue what it referred to. :D I suppose the other stuff I mention (foodwise) would be common to a lot of other places, since migrants brought them to Jamaica. This has been an awesome blogfest! I had such a great time meeting new people and reading so many wonderful blogs. I can't believe it's over already. April went by super fast! The challenge has been fun. I had wanted to pre-write some posts and managed to get a few down to start the first full week then for the rest of the challenge I've been writing posts daily. Next year I want to have all my posts ready to go before the challenge starts so I have more time for visiting other blogs and commenting. I'm with you! It's been a great ride but I'm glad I'm getting off. I need a long nap. Laura, yes, April did zip by. Claire, that sounds like a good plan. I loved your posts they were always so fun and the food was very cool idea. Congrats!! JL, we did it! Congratulations! I have an award for you!! Thanks, Josh. I learned a lot of stuff about our psyche by coming to your blog. You know I'll be around after the challenge. Yeah, Elizabeth! We did it! :D and many thanks for the award. These have been great. Especially the tidbits on food! Thanks, Rachel, I posted last night so as to have a holiday today. Sue, congrats on making it through the month with two blogs. Dunno how you managed that, plus the visits. 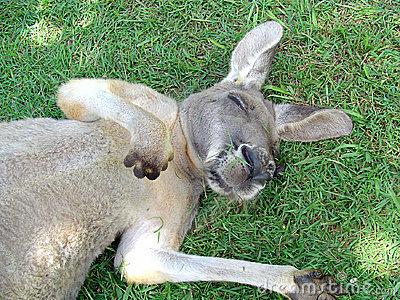 That zonked-out kangaroo is exactly how I feel. Well done for completing the challenge. Thanks for your occasional visit. Yeah, yeah, I thought I was going to be one of the *smart* writers you talk about. Some mornings I'd wake-up and think, today is H. What do I write? But we made it. Loved your posts and will be visiting lots. Robyn, sounds like you have another challenge in front of you. I'll be by to see what you're up to. OK loved the post but I could hardly get past the Zombie Z. How cute! I absolutely love it. I will be reading your post on a regular basis. Half the fun in doing the posts was picking out the letters and ictures to go with each. Just reading everyone who participated in the challenge makes me exhausted! Zucchini is delicious- especially roasted in butter with other vegetables. You have to try it!